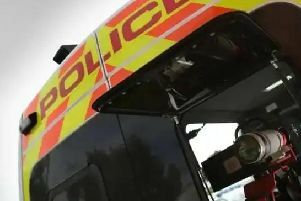 A drink driver was pulled over after he was caught speeding on his way home to Pleasley after a night out, a court heard. Dominik Santa’s blue Peugeot 206 was stopped on Devonshire Street, at 3.30am, on February 19. A breath test revealed he had 57 microgrammes of alcohol in 100 millilitres of breath when the legal limit is 35. Michael Little, mitigating, said Santa, who came to the UK from the Czech Republic in 2015, had worked as a warehouse operative but would not lose his job. Santa, 22, admitted driving with excess alcohol when he appeared at Mansfield Magistrates Court on Wednesday. He had a previous conviction for drink driving from September 2015. He was fined £260 and ordered to pay £85 costs and a £30 victim surcharge. He was banned for three years.